Baltic Beverages Invest Aktiebolag (Sweden) has announced plans to use the right to squeeze out shares from minority shareholders in one of the largest breweries in Ukraine – private joint-stock company Carlsberg Ukraine (Zaporizhia). According to the report on March 26, 2019, Baltic Beverages Invest is the direct holder of the dominating stake in Carlsberg Ukraine in the amount of 1.01 billion with the face value of UAH 1 each, which is 98.77% of the total number of shares in the company. 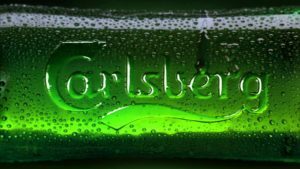 Carlsberg Ukraine is to approve the market value of shares no later than 25 working days from the moment of receiving the announcement and inform Baltic Beverages Invest about it. The group in Ukraine has three breweries in Zaporizhia, Kyiv and Lviv. PrJSC Carlsberg Ukraine (Zaporizhia), one of the largest brewing companies in Ukraine, in 2018 increased its net profit by 1.5 times compared with 2017, to UAH 1.634 billion. 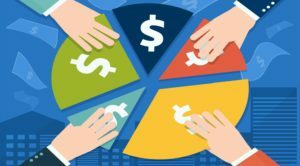 According to a company report in the information disclosure system of the National Commission on Securities and the Stock Market, its assets amounted to UAH 4.757 billion (6.3% less), retained earnings some UAH 1.643 billion (11% less). The total debtor indebtedness amounted to UAH 648.3 million (20% more), current liabilities some UAH 1.585 billion (5.5% less). The company has no long-term liabilities. The company plans to pay UAH 1.329 billion in dividends for 2018, the payment term is until October 24, 2019. The rest of the profit will remain at the disposal of Carlsberg Ukraine. Carlsberg Ukraine is part of Carlsberg Group, one of the leading brewing groups in the world, whose products are sold in more than 150 countries.